Mr. Alles serves as Celgene Corporation’s Chairman and Chief Executive Officer. He assumed the role of Chief Executive Officer and joined Celgene’s Board of Directors on March 1, 2016. The role of Chairman was added on February 6, 2018. Mr. Alles served as President and Chief Operating Officer from August 2014 until February 2016, Executive Vice President and Global Head of Hematology and Oncology from December 2012 until July 2014, and was also Celgene’s Chief Commercial Officer. Mr. Alles joined Celgene in April 2004 and was Vice President, Global Hematology Marketing until March 2009 when he was promoted to President of the Americas Region. Responsibility for commercial operations in Japan and the Asia Pacific Region was added in July 2011. Before joining Celgene, he was Vice President of the U.S. Oncology business unit at Aventis Pharmaceuticals and served in other senior commercial management roles at Aventis (Rhône-Poulenc Rorer) from 1993-2004. After earning his B.S. Degree from Lock Haven University of Pennsylvania and serving as a Captain in the United States Marine Corps, Mr. Alles began his thirty-year career in the pharmaceutical industry at Bayer and worked at Centocor before its acquisition by Johnson & Johnson. He is a member of the Board of Directors of the Pharmaceutical Manufacturers of America (PhRMA), the European Federation of the Pharmaceutical Industries and Associations (EFPIA), and serves on the Board of Gilda’s Club NYC, a non-profit organization dedicated to helping families of people living with cancer. Richard W. Barker, D.Phil., OBE , has served as one of our directors and a member of the Audit Committee of our Board of Directors since January 20, 2012. 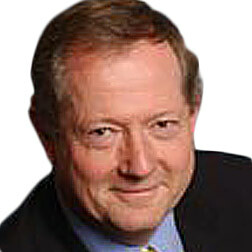 Dr. Barker was formerly Director General of the Association of the British Pharmaceutical Industry (ABPI), a pharmaceutical industry trade association in the United Kingdom, from 2004 to 2011, and served on the Board and Executive Committee of the European Federation of Pharmaceutical Industries and Associations (EFPIA) and as a Council Member of the International Federation of Pharmaceutical Manufacturers & Associations (IFPMA). Dr. Barker is currently director of the Centre for Accelerating Medical Innovations, chairman of the Health Innovation Network of South London, UK, a member of the Board of iCO Therapeutics, Inc., a Canadian biotech company, Chairman of Stem Cells for Safer Medicine, a public-private partnership using technology to improve drug safety, and chairman of International Health Partners, a UK charity providing donated medicines to crisis situations. As an experienced healthcare leader and strategist with a distinguished career in the healthcare sector, Dr. Barker brings to his service as a director more than 20 years’ experience in the healthcare industry in which he held a range of senior leadership roles in the United States, the United Kingdom and elsewhere internationally. His career has spanned the pharmaceutical, biotechnology and medical informatics sectors, thus giving him a broad perspective on the issues facing both healthcare systems and the pharmaceutical industry. 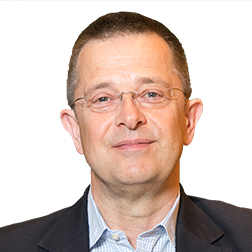 Hans Bishop is a 30-year industry veteran who founded Juno Therapeutics in 2013 and served as President and CEO until acquired by Celgene in March 2018. He served as an Executive in Residence at Warburg Pincus, a global private equity firm with significant investment experience in the pharmaceutical and healthcare industries. Prior to this, he acted as Executive Vice President and Chief Operating Officer for Dendreon, a Seattle-based biotechnology company that develops immunotherapy products used in cancer treatment. He has served as President of Specialty Medicine at Bayer Healthcare, Senior Vice President of Global Commercial Operations at Chiron Corporation, and Vice President and General Manager of European Biopharmaceuticals. 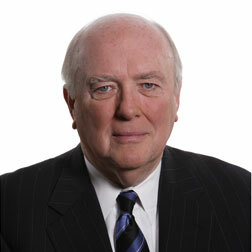 Mr. Bishop previously held various positions at Glaxo Wellcome and SmithKlineBeecham. Mr. Bishop earned a B.S. in chemistry from Brunel University in London. 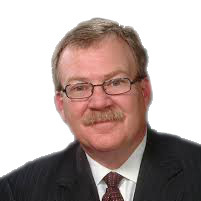 Michael W. Bonney was elected to our Board of Directors on April 14, 2015 and is a member of the Audit Committee. Mr. Bonney served as Chief Executive Officer and a member of the Board of Directors of Cubist Pharmaceuticals Inc. (Cubist) (a subsidiary of Merck & Co., Inc. as of January 2015) from June 2003 until his retirement on December 31, 2014. From January 2002 to June 2003, Mr. Bonney served as Cubist’s President and Chief Operating Officer, and from 1995 to 2001, he held various positions of increasing responsibility at Biogen, Inc., including Vice President, Sales and Marketing from 1999 to 2001. Prior to joining Biogen, Mr. Bonney held various positions of increasing responsibility in sales, marketing and strategic planning at Zeneca Pharmaceuticals, finishing his eleven-year career there by serving as National Business Director. Since 2014, Mr. Bonney has been a director of Alynylam Pharmaceuticals, Inc., where he serves on the audit committee. He is also a trustee of the Tekla complex of life sciences and healthcare dedicated funds, where he serves on the valuation committee and chairs the governance committee and the nominating committee. He also chairs the board of trustees of Bates College. Michael D. Casey has served as one of our directors since August 2002, and has been our independent Lead Director since June 2007, the Chairman of the Nominating Committee and a member of the Executive Committee since December 2006, and a member of the Management Compensation and Development Committee (referred to as the Compensation Committee) since April 2006. Mr. Casey was a member of the Audit Committee from August 2002 through December 2006. From September 1997 to February 2002, Mr. Casey served as the Chairman, President, Chief Executive Officer and a director of Matrix Pharmaceutical, Inc. From November 1995 to September 1997, Mr. Casey was Executive Vice President at Schein Pharmaceutical, Inc. In December 1996, he was appointed President of the retail and specialty products division of Schein Pharmaceutical, Inc. From June 1993 to November 1995, he served as President and Chief Operating Officer of Genetic Therapy, Inc. Mr. Casey was President of McNeil Pharmaceutical (a unit of Johnson & Johnson) from 1989 to June 1993 and Vice President, Sales and Marketing for Ortho Pharmaceutical Corp. (a subsidiary of Johnson & Johnson) from 1985 to 1989. Mr. Casey is also a director of Abaxis Inc. Mr. Casey served as a director of Allos Therapeutics, Inc. through January 2010, AVI BioPharma (now Sarepta Therapeutics, Inc.) through June 2010 and Durect Corporation through December 2013. 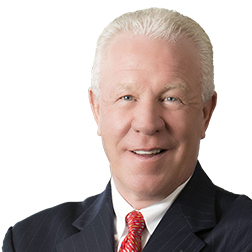 Mr. Casey brings to his service as a director his significant experience and leadership as President, Chief Executive Officer and senior officer of several national pharmaceutical companies. In addition to those listed above, he has previously served as a director of several other pharmaceutical/biotech companies. Chairman of the Board of Directors and Chief Executive Officer of Humacyte, Inc.
Carrie S. Cox has served as one of our directors since December 2009 and a member of the Audit Committee since March 2010. Ms. Cox currently serves as the Chairman of the Board of Directors and Chief Executive Officer of Humacyte, Inc., a privately-held regenerative medicine company primarily focused in developing products for vascular disease and for therapeutic filling and soft tissue repair. Ms. Cox served as Executive Vice President of Schering-Plough and President of Schering-Plough’s Global Pharmaceutical Business until November 3, 2009 when Schering-Plough merged with Merck & Co., Inc. Prior to joining Schering-Plough, Ms. Cox served as President of Pharmacia Corporation’s pharmaceutical business until its merger with Pfizer Inc. in 2003. Ms. Cox is a member of the Board of Directors of Texas Instruments and has served on their audit and compensation committees, and has been appointed to the Board of Directors of Cardinal Health, Inc. and the Board of Overseers of the University of Pennsylvania Museum of Archaeology and Anthropology. Ms. Cox is a graduate of the Massachusetts College of Pharmacy. Ms. Cox brings to her service as a director her distinguished career in global healthcare and her significant experience and leadership serving in executive positions of some of the largest and most successful multi-national healthcare companies in the world, including with responsibility for those companies’ financial performance and significant capital and research and development investments. 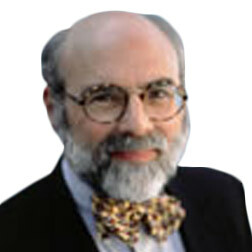 Michael A. Friedman , M.D . has served as one of our directors since February 2011 and a member of the Nominating Committee since April 2011. Dr. Friedman is the emeritus Chief Executive Officer of City of Hope, a leading cancer research, treatment and education institution, as well as Director of the organization’s Comprehensive Cancer Center and holder of the Irell & Manella Cancer Center Director’s Distinguished Chair. Before leading City of Hope, Dr. Friedman was Senior Vice President of Research and Development, Medical and Public Policy for Pharmacia Corporation and Chief Medical Officer for biomedical preparedness at PhRMA. Additionally, Dr. Friedman previously served as Deputy Commissioner for the U.S. Food and Drug Administration (FDA), later serving as Acting Commissioner, and as Associate Director of the National Cancer Institute, National Institutes of Health. Since 2004, Dr. Friedman serves on the Independent Citizens’ Oversight Committee which governs the California Institute for Regenerative Medicine and oversees the implementation of California’s stem cell research effort. Dr. Friedman is a member of the Board of Directors of MannKind Corporation and Smith & Nephew plc. He also serves on the Board of Trustees for Tulane University and the California State Stem Cell Initiative. Dr. Friedman brings to his service as a director valuable scientific and operational expertise and leadership skills from his extensive background in cancer research and public health as a senior officer of a leading research institution, deputy and acting commissioner of the FDA, and as an executive officer of a major pharmaceutical company. 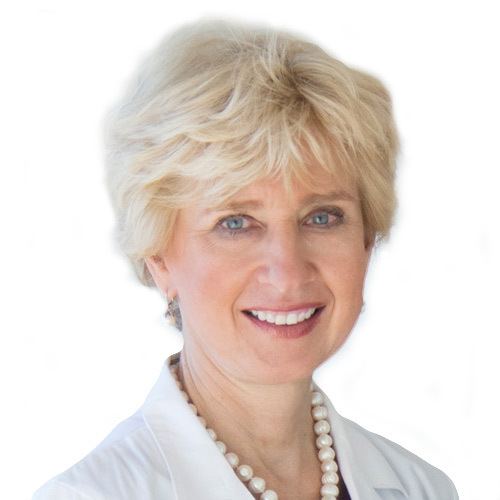 Dr. Julia Haller was elected to the Board of Directors in October 2015. Dr. Haller is Ophthalmologist-in-Chief of the Wills Eye Hospital in Philadelphia. She serves as Professor and Chair of the Department of Ophthalmology at Jefferson Medical College of Thomas Jefferson University and Thomas Jefferson University Hospitals, and Co-Director of the Wills Vision Research Center at Jefferson. In 1986, Dr. Haller served as the first female Chief Resident at the Wilmer Eye Institute at Johns Hopkins and later joined the faculty. 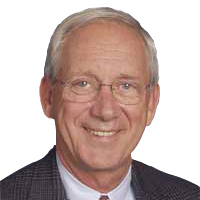 In 2007, Dr. Haller assumed leadership of the Wills Eye Hospital. Dr. Haller has received numerous academic and professional honors and has published over 300 scientific articles and book chapters. Dr. Haller received an A.B. from Princeton University and her M.D. from Harvard Medical School. She is a member of numerous scientific advisory boards and data and safety monitoring committees and is also a past member of the Boards of Trustees of Princeton University. 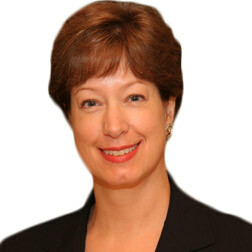 Patricia Hemingway Hall has more than 30 years of experience with a focus on the US health insurance market. 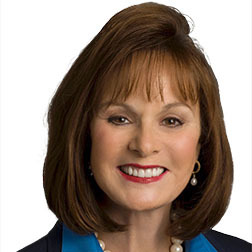 Ms. Hemingway Hall retired as CEO of Health Care Service Corporation (HCSC), the nation’s largest mutual health insurance company, which operates as Blue Cross and Blue Shield in Illinois, Montana, New Mexico, Oklahoma and Texas, in 2015. Previously, Ms. Hemingway Hall served as President and Chief Operating Officer of HCSC and as President of Blue Cross and Blue Shield of Texas (BCBSTX). Prior to joining HCSC in 1993, she held positions at A. Foster Higgins, Aetna/Partners Health Plans, VHA and Blue Cross and Blue Shield of Florida. Ms. Hemingway Hall currently serves on the boards of directors of Manpower Group and Cardinal Health. She earned a Master’s in Public Health, health planning and administration from the University of Michigan and a Bachelor of Science in nursing from Michigan State University. 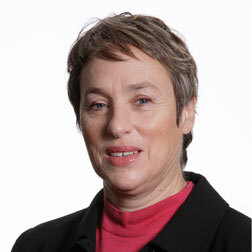 Gilla Kaplan , Ph.D . has served as one of our directors since April 1998 and is a member of the Nominating Committee. Dr. Kaplan was appointed Director of the Global Health Program, Tuberculosis, at the Bill and Melinda Gates Foundation in January 2014. She previously served as Senior Advisor to the Global Health Program, Tuberculosis and member of the International Scientific Advisory Committee for the Global Health Program of the Bill and Melinda Gates Foundation. Dr. Kaplan was head of the Laboratory of Mycobacterial Immunity and Pathogenesis at The Public Health Research Institute Center at the New Jersey Medical School, Newark, New Jersey, where she was appointed full Member in 2002 and Assistant Director in 2006. Dr. Kaplan also was previously appointed, in 2005, Professor of Medicine at the University of Medicine and Dentistry of New Jersey. Prior to that, Dr. Kaplan was an immunologist in the Laboratory at Cellular Physiology and Immunology at The Rockefeller University in New York where she was an Associate Professor. Dr. Kaplan brings to her service as a director valuable scientific expertise and leadership skills from her distinguished career in medical research, including her current role as Director of the Global Health Program, Tuberculosis at the Bill and Melinda Gates Foundation and her past roles and experiences in the field of immunology. James J. Loughlin has served as one of our directors since January 2007, as Chairman of the Audit Committee since June 2008 and a member of the Compensation Committee since June 2008. 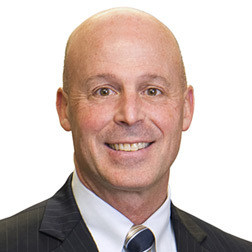 Mr. Loughlin served as the National Director of the Pharmaceuticals Practice at KPMG LLP (KPMG), and a five-year term as member of the Board of Directors of KPMG. Additionally, Mr. Loughlin served as Chairman of the Pension and Investment Committee of the KPMG Board from 1995 through 2001. He also served as Partner in charge of Human Resources, Chairman of the Personnel and Professional Development Committee, Secretary and Trustee of the Peat Marwick Foundation and a member of the Pension, Operating and Strategic Planning Committees. Mr. Loughlin serves as a member of the Board of Directors and the Audit Committee of Edge Therapeutics, Inc., a privately-held biopharmaceutical company, and InspireMD, a publicly-traded medical device manufacturer. Mr. Loughlin brings to his service as a director his valuable experiences as National Director of the Pharmaceuticals Practice at KPMG, his service as Chairman of the Pension and Investment Committee of the KPMG Board and his service on various other committees and foundations. 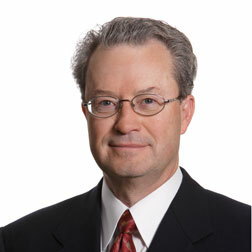 In particular, through his professional association with KPMG, including a five-year term as member of the Board of Directors of KPMG, Mr. Loughlin brings to our Board of Directors an extensive background in accounting and financial reporting, qualifying him as an audit committee financial expert (as that term is defined in the regulations of the SEC). Ernest Mario, Ph.D . has served as one of our directors since August 2007 and is Chairman of the Management Compensation and Development Committee since 2014, a member of the Nominating Committee since August 2007 and a member of the Executive Committee since June 2008. Dr. Mario is a former Deputy Chairman and Chief Executive of Glaxo Holdings plc and a former Chairman and Chief Executive Officer of ALZA Corporation. Dr. Mario currently is the Chairman of Capnia, Inc., a privately-held specialty pharmaceutical company in Palo Alto, California. Dr. Mario serves as a director of publicly-traded healthcare companies: Boston Scientific Corporation, Chimerix Inc., Kindred Biosciences Inc., XenoPort Inc. and Tonix Pharmaceuticals Holding Corp. He is Chairman of the American Foundation for Pharmaceutical Education and serves as an advisor to The Ernest Mario School of Pharmacy at Rutgers University. In 2007, Dr. Mario was awarded the Remington Medal by the American Pharmacists Association, pharmacy’s highest honor. Dr. Mario brings to his service as a director his significant executive leadership experience, including his experience leading several pharmaceutical companies, as well as his membership on public company boards and foundations. He also has extensive experience in financial and operations management, risk oversight, and quality and business strategy. John joined C.R. Bard, Inc. on March 1, 1996. His experience spans over 40 years in the healthcare industry with firms such as Dentsply International, Pharmacia and Baxter Healthcare Corporation. John was named President and Chief Operating Officer of C.R. Bard on August 8, 2003, having worldwide responsibility for all of Bard’s business operations. He was elected to Bard’s board of directors on April 20, 2005 and became Vice Chairman of the Board in 2016. Prior to becoming President and COO, John held the position of Group President of Bard. John retired from C.R. Bard in 2017 coinciding with the purchase of C.R. Bard by Becton Dickinson. Prior to Bard, John held the position of Senior Vice President North America Group for Dentsply International in York, Pennsylvania. This position included general management responsibility for the eleven operating divisions of Dentsply International, the world’s leading dental products manufacturer. John graduated from DeSales University with a B.S. degree and earned an M.B.A. degree from New York University. John started his career at Baxter/American Hospital Supply Corporation in 1977 as a sales representative. He rose through numerous managerial positions to become Vice President and General Manager of the Scientific Products Biomedical Division. In 1989, he became President and Chief Executive Officer of Pharmacia Diagnostics, a division of Pharmacia AB Uppsala Sweden. In addition to his professional activities, John is actively involved in civic affairs. In 1987, John was named a White House Fellow and served as a Special Assistant to two members of President Reagan’s Cabinet. In 2012, John was the recipient of the distinguished Horatio Alger Award. He is a member of the Board of Directors of West Pharmaceutical Services, Inc. and the Horatio Alger Association. John, his wife Kathy, and their three children reside in Saucon Valley, Pennsylvania.